Zanele is an ardent policy adviser, advocate for women & girls and a social justice writer with published articles on various online global advocacy platforms with a focus on HIV Prevention, Adolescents Sexual and Reproductive Health and Rights, Gender Equality and Gender-based Violence. Previously Youth Advisory to the United Nations Population Fund (UNFPA) South Africa, Ms Mabaso has served on global and regional steering committees; namely United Nations Solutions Summit Steering Committee, Canadian Partnership for Women’s, Children’s and Adolescent Health Conference Organising Committee and Youth Council, The Partnership on Maternal, New-born and Child Health’s Country Engagement Steering Committee, including the Adolescents and Youth Constituency of the Partnership. On a national level, served as an elected youth representative in the UNFPA Safe-guarding Young People’s (SYP) Regional Steering Committee, National ASRHR Framework Strategy Technical Committee, and Technical Task Team to UNAIDS ACT!2015 National Alliance. Her consultations in high-level engagements have included participation in the Government of SA/UNFPA Country Programme National Coordination Forum, the Africa Regional Stakeholders Consultations on the UN Secretary Generals 2016-2030 Global Strategy on Women, Children and Adolescents Health (which includes an editorial publication in the WHO Bulletin), United Nations International Conference on Population and Development 48th Session at the UN Headquarters, United Nations General Assembly, as well as contributing toward the 2030 UN Youth Strategy through the UN Major Group on Children and Youth, amongst others. 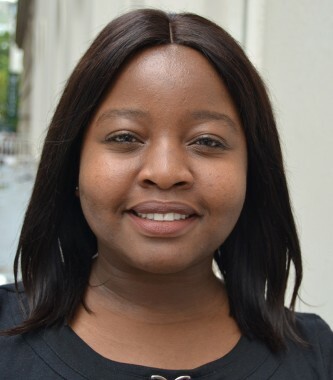 Zanele is a Women Deliver Class of 2018 Young Leader and completed her Mandela Washington Fellowship in Public Management at the University of Wisconsin-Madison before joining Sonke.